The present structure of Indirect Taxes is very complex in India. There are so many types of taxes that are levied by the Central and State Governments on Goods & Services. We have to pay ‘Entertainment Tax’ for watching a movie. We have to pay Value Added Tax (VAT) on purchasing goods & services. And there are Excise duties, Import Duties, Luxury Tax, Central Sales Tax, Service Tax…. ;). As of today some of these taxes are levied by the Central Government and some are by the State Governments. How nice will it be if there is only one unified tax rate instead of all these taxes? It has been the long pending issue to streamline all the different types of indirect taxes and implement a “single taxation” system. This system is called as GST ( GST is the abbreviated form of Goods & Services Tax). The main expectation from this system is to abolish all indirect taxes and only GST would be levied. As the name suggests, the GST will be levied both on Goods and Services. GST was first introduced during the 2007-08 budget session. On 17th December 2014, the current Union Cabinet ministry approved the proposal for introduction GST Constitutional Amendment Bill. On 19th of December 2014, the bill was presented on GST in Loksabha. The Bill will be tabled and taken up for discussion during the coming Budget session. The current central government is very determined to implement GST Constitutional Amendment Bill. GST is a tax that we need to pay on the supply of goods & services. Any person, who is providing or supplying goods and services is liable to charge GST. Let us assume that the GST is set at 20%. Suppose that the manufacturing cost of a Product A is 100 and assuming a GST of 20% the total amount is Rs. 120. The next step of taxation would be when the Product is sold to consumers, let’s say at a price of 150. So the GST will charge another 20% on just the difference between Rs. 150 and Rs. 120 i.e. only 20% on Rs. 30 which is equal to Rs. 6. So the final price is Rs. 150 + Rs. 6. Unlike the case of petrol pricing, there is no tax on a tax now. This eliminates the cascading effect of taxes which is very prevalent in our economy and has been simplified to an elemental level in the example. Since the GST will be applied at every step of value creation it will be very difficult for black money owners to participate anywhere in the value chain with the GST without accounting for all other transactions. The GST is estimated to provide an immediate boost of 0.9% – 1.4% of the GDP. 1) What are final GST rate slabs? The Goods and Services Tax (GST) will be levied at multiple rates ranging from 0 per cent to 28 per cent. GST Council finalized a four-tier GST tax structure of 5%, 12%, 18% and 28%, with lower rates for essential items and the highest for luxury and de-merits goods that would also attract an additional cess. Service Tax will go up from 15% to 18%. The services being taxed at lower rates, owing to the provision of abatement, such as train tickets, will fall in the lower slabs. In order to control inflation, essential items including food, which presently constitute roughly half of the consumer inflation basket, will be taxed at zero rates. 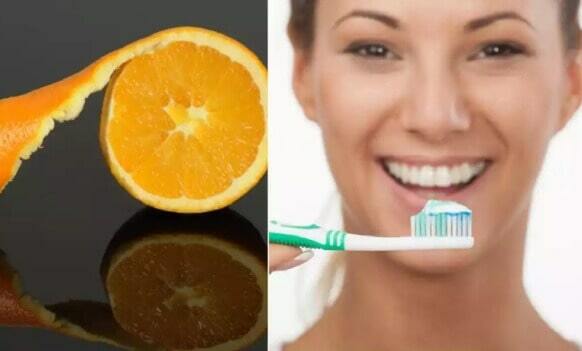 The lowest rate of 5% would be for common use items. There would be two standard rates of 12 per cent and 18 per cent, which would fall on the bulk of the goods and services. This includes fast-moving consumer goods. Highest tax slab will be applicable to items which are currently taxed at 30-31% (excise duty plus VAT). Ultra luxuries, demerit and in goods (like tobacco and aerated drinks), will attract a cess for a period of five years on top of the 28 per cent GST. Finance minister said that the cess would be lapsable after five years. The structure to agree is a compromise to accommodate the demand for the highest tax rate of 40% by states like Kerala. While the Centre proposed to levy a 4% GST on gold but the final decision on this was put off. During a press conference, finance minister Mr. Jaitley said, “GST rate on gold will be finalized after the fitting to the approved rates structure of all items is completed and there is some idea of revenue projections”. The principle for determining the rate on each item will be to levy and collect the GST at the rate slab closest to the current tax incidence on it. The GST will subsume the multitude of cesses currently in place, including the Swachh Bharat Cess, the Krishi Kalyan Cess, and the Education Cess. Only the Clean Environment Cess is being retained, revenues from which will also fund the compensations. 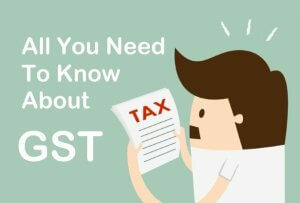 2) What are CGST, SGST, and IGST? The GST too needs to have clear provisions on what areas the center and the state is allowed to collect revenue from taxation to prevent an overlapping. The Central GST or CGST is the areas where the center has the powers and State GST where the State has taxation capabilities. The IGST or Integrated GST is for movement of goods within the states of the Indian union. This will be collected by the union, however, will be transferred over to the states. Thus it is essential that if and when the GST comes out it is rolled over in the entire nation simultaneously. 3) What are the differences between the UPA and the NDA? Liquor for human consumption is exempt however tobacco and tobacco products will fall under GST. There is a 1% tax on top of the GST for inter-state movement of goods and services. 4) What are the taxes that replace? 5) What will be the short-term impact of it? The GST will fuel inflation for the short term. The GST rate starts at 5% and 18% taxation services such as restaurants, movies etc. are bound to increase prices. Another problem with the GST that many pundits feel is not including liquor and petroleum under GST’s ambit. These are major revenue sources for the government and experts feel this is being done due to a few crony capitalists who need some time to funnel away their black money as the GST promises to widen the tax paying population. The government may not be able to meet the initial GST implementation date of 1st April 2017. It’s widely assumed that GST rollout will start only after 1 July 2017. Keep checking the article for latest updates. 7) What is a constitutional amendment? A Constitutional Amendment as the name suggests is any change in the Constitution. A democracy like India derives all its rules and laws from the Constitution and hence any change in the Constitution is a change in the fundamental fabric of the country. The GST is the One Hundred and Twenty Second such proposed amendment and hence is named The Constitution (One Hundred and Twenty-Second Amendment) Bill, 2014. In simple terms bills other than the Constitution Amendment Bill are just modifications to topics that are already mentioned in the Constitution. The introduction of a few new IITs is a perfect example. 8) What are the finer points in the implementation of the bill? The problem of separating the taxation powers of the state and the center which resulted in CGST and SGST. Exemptions from it which currently includes Petroleum and Liquor for human consumption. GST will be applicable on imports too along with the Basic Customs Duty which has not been scrapped. The GST will be applicable at the point of sale. In comparison, the Value Added Tax is a destination based tax while excise duties are taxed at the origin. The workings in the implementation of IGST. 9) What is the Empowered Committee? The Empowered Committee is a committee of the Finance Ministers of the states. It was set up by the Vajpayee Government to look into the Value Added Tax model. The committee has had an influential hand in shaping and structuring. 10) What will become costlier and cheaper? 11) What is GST? How does it work? 12) What are the benefits of GST? Easy compliance: A robust and comprehensive IT system would be the foundation of its regime in India. Therefore, all tax payer services such as registrations, returns, payments, etc. would be available to the taxpayers online, which would make compliance easy and transparent. Uniformity of tax rates and structures: it will ensure that indirect tax rates and structures are common across the country, thereby increasing certainty and ease of doing business. In other words, it would make doing business in the country tax neutral, irrespective of the choice of place of doing business. Gain to manufacturers and exporters: The subsuming of major Central and State taxes in it, complete and comprehensive set-off of input goods and services and phasing out of Central Sales Tax (CST) would reduce the cost of locally manufactured goods and services. This will increase the competitiveness of Indian goods and services in the international market and give the boost to Indian exports. The uniformity in tax rates and procedures across the country will also go a long way in reducing the compliance cost. Higher revenue efficiency: GST is expected to decrease the cost of collection of tax revenues of the Government, and will, therefore, lead to higher revenue efficiency. Single and transparent tax proportionate to the value of goods and services: Due to multiple indirect taxes being levied by the Centre and State, with incomplete or no input tax credits available at progressive stages of value addition, the cost of most goods and services in the country today are laden with many hidden taxes. Under GST, there would be only one tax from the manufacturer to the consumer, leading to the transparency of taxes paid to the final consumer. 13) Which taxes at the Centre and State level are being subsumed into GST? Taxes on the lottery, betting, and gambling. 14) What are the major chronological events that have led to the introduction? In 2003, the Kelkar Task Force on indirect tax had suggested a comprehensive Goods and Services Tax based on VAT principle. A proposal to introduce National level Goods and Services Tax by April 1, 2010, was first mooted in the Budget Speech for the financial year 2006-07. Based on inputs from Govt of India and States, the EC released its First Discussion Paper on Goods and Services Tax in India in November 2009. 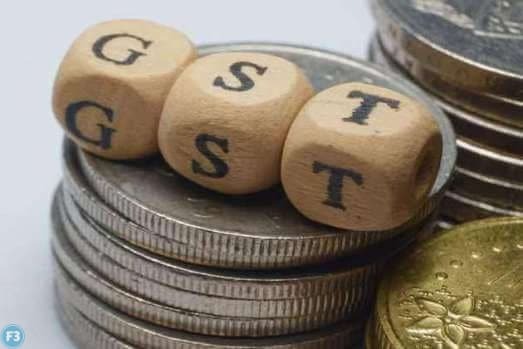 In order to take the GST related work further, a Joint Working Group consisting of officers from Central as well as State Government was constituted in September 2009. In order to amend the Constitution to enable the introduction, the Constitution (115th Amendment) Bill was introduced in the Lok Sabha in March 2011. As per the prescribed procedure, the Bill was referred to the Standing Committee on Finance of the Parliament for examination and report. Meanwhile, in pursuance of the decision taken in a meeting between the Union Finance Minister and the Empowered Committee of State Finance Ministers on 8th November 2012, a ‘Committee on GST Design’, consisting of the officials of the Government of India, State Governments, and the Empowered Committee was constituted. This Committee did a detailed discussion on GST design including the Constitution (115th) Amendment Bill and submitted its report in January 2013. Based on this Report, the EC recommended certain changes in the Constitution Amendment Bill in their meeting at Bhubaneswar in January 2013. The Parliamentary Standing Committee submitted its Report in August 2013 to the Lok Sabha. The recommendations of the Empowered Committee and the recommendations of the Parliamentary Standing Committee were examined in the Ministry in consultation with the Legislative Department. Most of the recommendations made by the Empowered Committee and the Parliamentary Standing Committee were accepted and the draft Amendment Bill was suitably revised. The final draft Constitutional Amendment Bill incorporating the above-stated changes were sent to the Empowered Committee for consideration in September 2013. The EC once again made certain recommendations on the Bill after its meeting in Shillong on November 2013. Certain recommendations of the Empowered Committee were incorporated in the draft Constitution (115th Amendment) Bill. The revised draft was sent for consideration of the Empowered Committee in March 2014. Based on a broad consensus reached with the Empowered Committee on the contours of the Bill, the Cabinet on 17.12.2014 approved the proposal for introduction of a Bill in the Parliament for amending the Constitution of India to facilitate the introduction of Goods and Services Tax (GST) in the country. The Bill was introduced in the Lok Sabha on 19.12.2014 and was passed by the Lok Sabha on 06.05.2015. It was then referred to the Select Committee of Rajya Sabha, which submitted its report on 22.07.2015. 15) How would GST be administered in India? Answer: Keeping in mind the federal structure of India, there will be two components of it – Central GST (CGST) and State GST (SGST). Both Centre and States will simultaneously levy it across the value chain. The tax will be levied on every supply of goods and services. Centre would levy and collect Central Goods and Services Tax (CGST), and States would levy and collect the State Goods and Services Tax (S GST) on all transactions within a State. The input tax credit of CGST would be available for discharging the CGST liability on the output at each stage. Similarly, the credit of SGST paid on inputs would be allowed for paying the SGST on output. No cross utilization of credit would be permitted. 16) How would a particular transaction of goods and services be taxed simultaneously under Central GST (CGST) and State GST (SGST)? Answer: The Central GST and the State GST would be levied simultaneously on every transaction of supply of goods and services except on exempted goods and services, goods which are outside the purview of GST and the transactions which are below the prescribed threshold limits. Further, both would be levied on the same price or value, unlike State VAT which is levied on the value of the goods inclusive of Central Excise. 17)Will cross utilization of credits between goods and services be allowed under GST regime? 18) How will be Inter-State Transactions of Goods and Services be taxed under GST in terms of IGST method? Answer: In case of inter-State transactions, the Centre would levy and collect the Integrated Goods and Services Tax (I GST) on all inter-State supplies of goods and services under Article 269A (1) of the Constitution. The IGST would roughly be equal to CGST plus SGST. The IGST mechanism has been designed to ensure seamless flow of input tax credit from one State to another. The inter-State seller would pay IGST on the sale of his goods to the Central Government after adjusting credit of IGST, CGST and SGST on his purchases (in that order). The exporting State will transfer to the Centre the credit of SGST used in payment of IGST. The importing dealer will claim the credit of IGST while discharging his output tax liability (both CGST and SGST) in his own State. The Centre will transfer to the importing State the credit of IGST used in payment of SGST.Since GST is a destination-based tax, all SGST on the final product will ordinarily accrue to the consuming State. 19) How will IT be used for the implementation of GST? Answer: For the implementation of GST in the country, the Central and State Governments have jointly registered Goods and Services Tax Network (GSTN) as a not-for-profit, non-Government Company to provide shared IT infrastructure and services to Central and State Governments, tax payers and other stakeholders. The key objectives of GSTN are to provide a standard and uniform interface to the taxpayers, and shared infrastructure and services to Central and State/UT Governments. GSTN is working on developing a state-of-the-art comprehensive IT infrastructure including the common GST portal providing front end services of registration, returns and payments to all taxpayers, as well as the backend IT modules for certain States that include processing of returns, registrations, audits, assessments, appeals, etc. All States, accounting authorities, RBI, and banks, are also preparing their IT infrastructure for the administration of GST. There would no manual filing of returns. All taxes can also be paid online. All mismatched returns would be auto-generated, and there would be no need for manual interventions. Most returns would be self-assessed. 20) How will imports be taxed under GST? Answer: The Additional Duty of Excise or CVD and the Special Additional Duty or SAD presently being levied on imports will be subsumed under GST. As per Explanation to clause (1) of article 269A of the Constitution, IGST will be levied on all imports into the territory of India. Unlike in the present regime, the States where imported goods are consumed will now gain their share from this IGST paid on imported goods. 21) What are the major features of the Constitution (122nd Amendment) Bill, 2014? 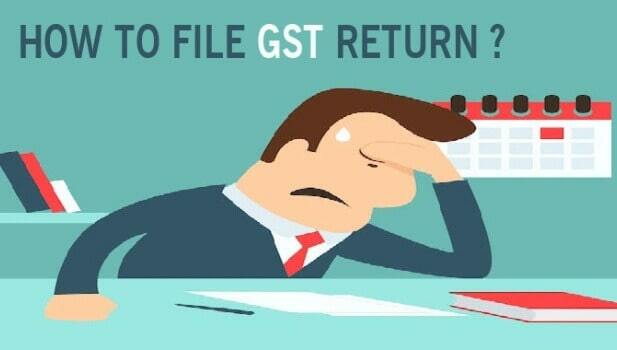 23) What are the major features of the proposed returns filing procedures under GST? The common return would serve the purpose of both Centre and State Government. There are eight forms provided for in the GST business processes for filing for returns. Most of the average tax payers would be using only four forms for filing their returns. These are returned for supplies, return for purchases, monthly returns, and annual return. Small taxpayers: Small taxpayers who have opted composition scheme shall have to file a return on the quarterly basis. Filing of returns shall be completely online. 24) What are the major features of the proposed payment procedures?